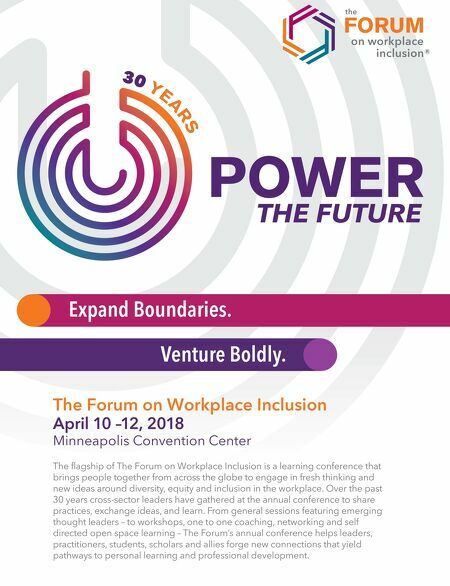 d i v e r s i t y w o m a n . c o m S p r i n g 2 0 1 8 D I V E R S I T Y W O M A N 39 By Mindy Char ski W ill you have enough money to achieve the fi- nancial goals that are im- portant to you? It can be an overwhelming question, but writing out a financial plan can make it less daunting and set you on a path for success. Certified financial planner Nancy Coutu likens a financial plan to prepara- tions you would make for a cross-country road trip. In addition to short-term goals like how far you'll drive each day, you'd consider the money you'll need for food, gas, and lodging. 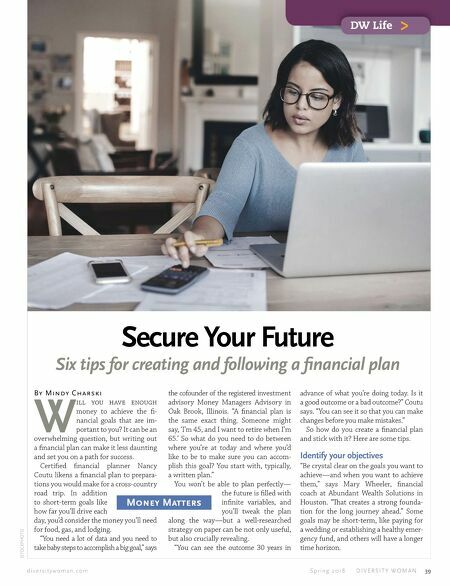 "You need a lot of data and you need to take baby steps to accomplish a big goal," says ISTOCKPHOTO Secure Your Future Six tips for creating and following a financial plan DW Life > Money Matters the cofounder of the registered investment advisory Money Managers Advisory in Oak Brook, Illinois. "A financial plan is the same exact thing. Someone might say, 'I'm 45, and I want to retire when I'm 65.' So what do you need to do between where you're at today and where you'd like to be to make sure you can accom- plish this goal? You start with, typically, a written plan." You won't be able to plan perfectly— the future is filled with infinite variables, and you'll tweak the plan along the way—but a well-researched strategy on paper can be not only useful, but also crucially revealing. "You can see the outcome 30 years in advance of what you're doing today. Is it a good outcome or a bad outcome?" Coutu says. "You can see it so that you can make changes before you make mistakes." So how do you create a financial plan and stick with it? Here are some tips. Identify your objectives "Be crystal clear on the goals you want to achieve—and when you want to achieve them," says Mary Wheeler, financial coach at Abundant Wealth Solutions in Houston. "at creates a strong founda- tion for the long journey ahead." Some goals may be short-term, like paying for a wedding or establishing a healthy emer- gency fund, and others will have a longer time horizon.